THE Zambia Information and Communication Technology Authority (ZICTA) has called on broadband service providers to ensure all Zambians, regardless of their location, access all forms of information and communication technology to better their lives. Acting ZICTA director general Mulenga Chisanga said broadband services were the modern day unavoidable tools for national development and as such, ICT providers must ensure such services are spread to all parts of the country. Speaking during the ZICTA discussion forum on broadband for sustainable develop at Pamodzi Hotel in Lusaka yesterday, Mr Chisanga said the authority was spearheading the extension of broadband services to rural parts of the country. “Broadband facilitates efficiency in various sectors. In healthcare delivery, it creates opportunities for doctors and healthcare specialists to work together as a virtual team with specialists located in any parts of the world,” he said. 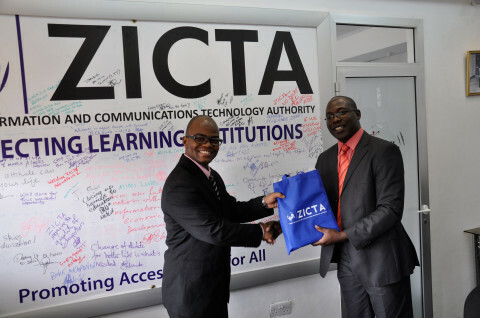 ZICTA, as the regulator of the ICT sector in the country, has continued to promote extension of services to unserved areas through the installation of 169 communication towers in chiefdoms in rural parts of the country. In this regard, health practitioners in some rural towns are already using broadband services to send medical images of patients to the University Teaching Hospital for expert consultation for rapid diagnosis. Mr Chisanga said people who used the internet depended on high-speed connection for ultimate convenience and that it was a challenge for broadband providers to double their efforts to allow business compete at a global level. “There is no doubt that we live in an information society and broadband puts all types of information within a few keystrokes away,” he added. Apart from improving the everyday lives of people to ensure that the digital divide is reduced, ICT services are reducing the rural-urban drift which has also replaced the need to cover long distances to access different services. ZICTA has since introduced public access centres in collaboration with the Zambia Postal Services, while also spearheading the National Addressing and Postcode project that involves street naming and numbering of houses to improve emergency services provision in the communities. Ministry of Education, Science, Vocational Training and Early Education systems development chief Dr Charles Ndakala said there is need for the introduction of educational rates for learning institutions to mitigate the high cost now that ICTs were now part of the education curriculum. Other speakers at the discussion include chairperson of the e-Government technical committee Dr Felix Phiri, principal communications officer in the Ministry of Transport, Communications, Works and Supply Nkula Mwanza and Zesco Fibrecom senior manager Nang’alelwa Sitwala. Next articleWoman sent to High court for murder, dumping her baby in a pit latrine.